There are still five days to enjoy the fantastic series of events we’re holding for our 2016 Library Fest. 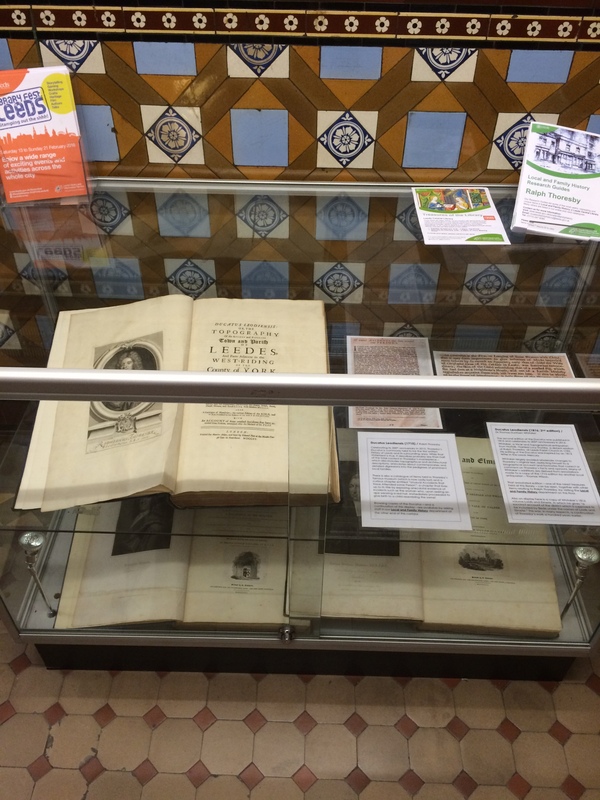 Among that panoply is a display celebrating the life and works of Ralph Thoresby – in particular, the 300th-anniversary of his Ducatus Leodiensis. That book – often referred to as “the first written history of Leeds” was actually published in 1715, but we thought it appropriate to leave our celebrations until 2016 as, in a fitting alignment of the literary firmament, this year also marks the 200th-anniversary of the second edition of Thoresby’s masterpiece. 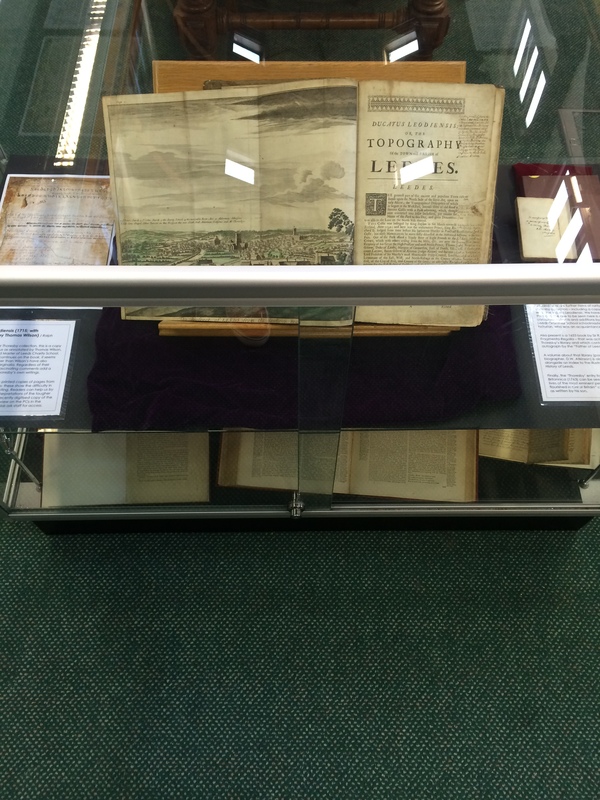 That version, edited by the vicar, topographer and antiquarian, Thomas Dunham Whitaker, can be seen, alongside Thoresby’s 1715 original, in a display case outside our Information and Research department on the 2nd Floor of the Central Library. Also on show with those two editions of the Ducatus is Whitaker’s own Loidis and Elmete, a further history of Leeds and the surrounding area that picks up where Thoresby left off and which was also published in 1816. Moving into our Local and Family History department, viewers can browse a further set of materials. Part way between a museum exhibition and a curated browsing collection, this selection is designed to contextualize Thoresby’s work within his life. The materials can be read in any order, but you are encouraged to start in the bottom right corner of the table and work from right to left. Finally, visitors are invited to peruse the glass cabinet seen in the above photograph. This contains the jewel in our Thoresby collection – the annotated Ducatus Leodiensis. This is an edition of the 1715 version that was owned by the local antiquary and schoolmaster, Thomas Wilson. Wilson added many fascinating amendments, corrections and revisions to Thoresby’s text – most of which were incorporated into Whitaker’s 1816 second edition. This is a rare opportunity to see one of the rarest items in our collection. Alongside the annotated Ducatus can be seen a book that was part of Thoresby’s own library – and which contains a note and signature by the “Father of Leeds History” himself. 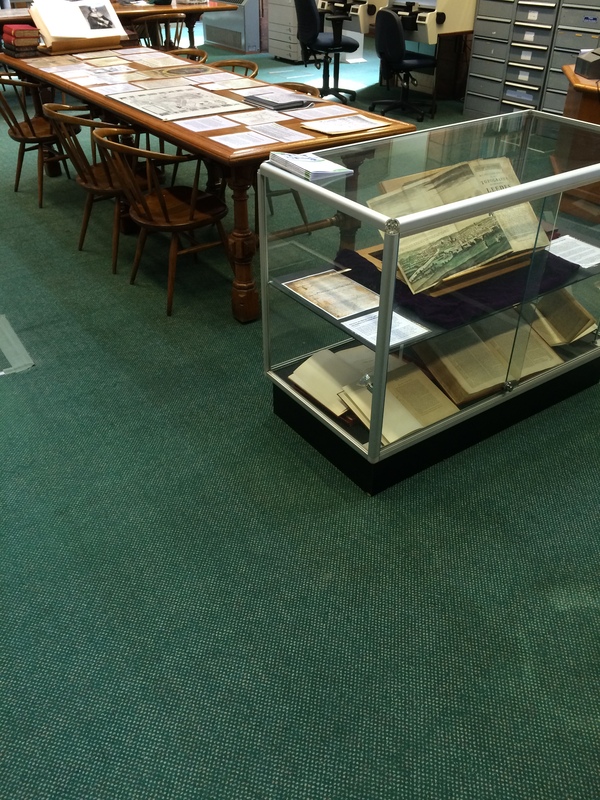 Further special collections items of relevance to Thoresby and the Ducatus can also be seen in that glass cabinet. The display is available to view until Monday the 22nd of February. Contact us on 01132 476016 for details of our opening times, or click here. Readers can also browse a full guide to our Thoresby collection by clicking here.